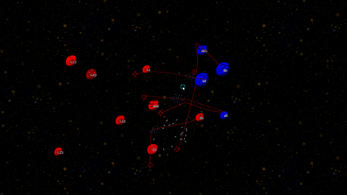 Planetary Rush is a single player, Line-Drawing, Node-Conquest RTS game. Use the mouse. Draw lines from your planets to send ships. 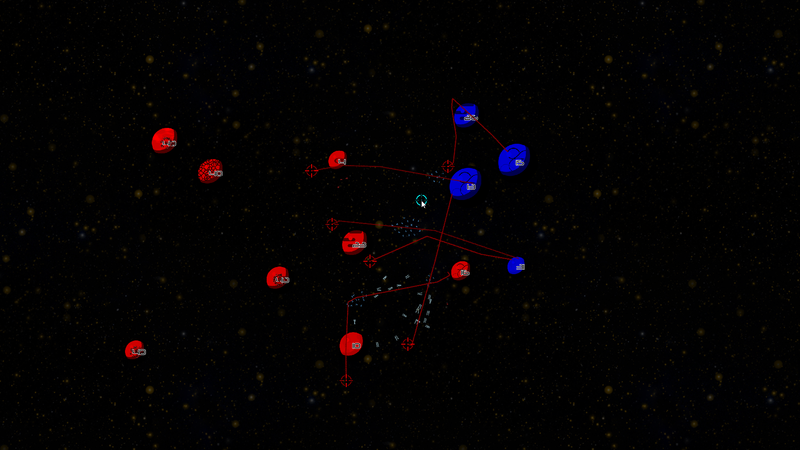 Ships will shoot enemies and take over other planets. Try to flank your opponent's fleets for best effect. Use the scroll-wheel to zoom the camera. Due to the zooming camera, Fullscreen is highly recommended. Press escape for options. If you have issues with the web version, please try the downloaded version. The web version is not nearly as good as the download version. Created using the Godot game engine. Thanks for playing! Glad you liked it.